Ashton Classic has a medium body with nuances of peppery spice. The blend of 3 to 4 year old Dominican tobacco, along with its rich golden Connecticut shade wrapper creates an extremely well blended rich taste. The draw of this cigar from beginning to end is never disappointing. 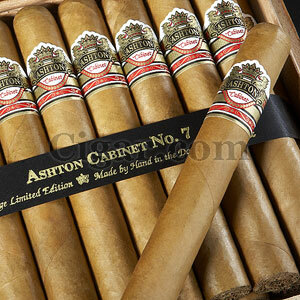 The Ashton Classic is truly a smoke for anytime and anywhere and, like an old friend, never let's you down. 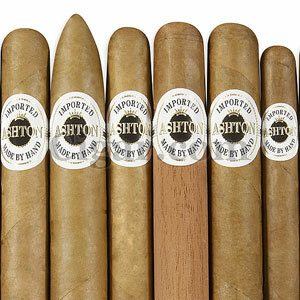 The Ashton Cabinet is the "White Burgundy" of cigars. "White Burgundy" gets its rich complex taste from the soil and aging of the grape in French oak barrels. 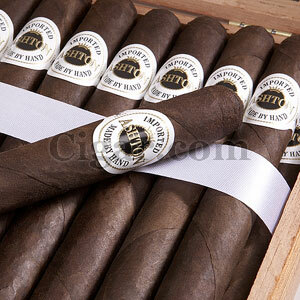 The Cabinet's 4 to 5 year old Dominican filler blend has a rich, complex and well rounded taste. The extraordinary Connecticut shade wrapper is aged for an extra year and has an elegant palomino color resulting in a smooth and creamy flavor. 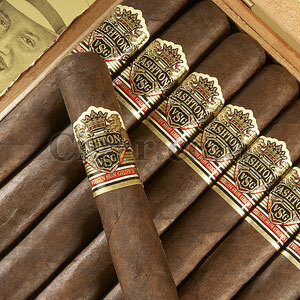 Ashton VSG (Virgin Sun Grown) is the prized blend in the Ashton portfolio. Rolled for the first time in the late 1990s, VSG was one of the first cigars to feature a square press. To create this magnificent blend, a rich Ecuadorian Sun Grown wrapper is balanced with the finest filler and binder tobaccos at Chateau de la Fuente. Extra aging and fermentation allows for a rich and full flavor with a strong body, while maintaining an incredibly smooth character. Ashton VSG is consistently rated incredibly high by industry publications and continues to be among the 10 most rare, sought-after cigars in the world. Ashton Aged Maduro is made from extremely limited Connecticut broad leaf wrapper. Many a wrapper leaf is picked, but few are chosen for our Ashton Aged Maduro cigars. The initial sweet taste comes from the wrapper, but once lit, the cigar becomes rich and nutty much like great Madeira or Tawny Port, whose distinct flavor comes from aging in Sherry finished French oak barrels. The Ashton Heritage debuted several years after the famed Ashton VSG hit shelves in the late 1990’s. 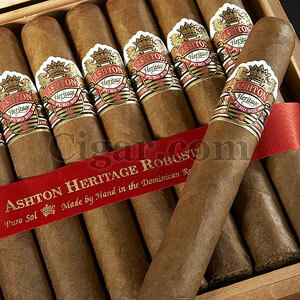 The concept for the Heritage was to add another sought after wrapper to the Ashton portfolio. In this blend the already famous Dominican fillers and binder are combined with a rare aged Cameroon wrapper that gives this medium to full-bodied cigar a robust, rich, and tangy taste. The expert blenders at Chateau de La Fuente utilize the tobaccos in such a way that the cigar has a strong shot of flavor on the nose with a dry and medium finish.